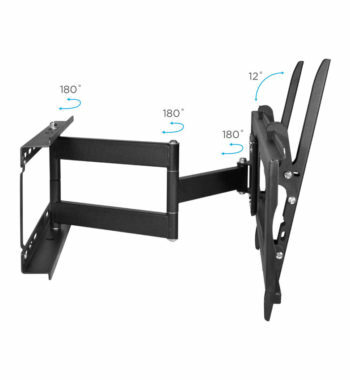 The Ematic Articulating, Universal Wall Mount safely mounts your TV to a wall in your home. The adjustable arm allows you to get the best view possible no matter where you are sitting or standing. This tilt/swivel wall mount for 19″-80″ TVs with 15' HDMI cable kit includes a built-in level for easy installation and also a 15' HDMI cable for added convenience. The HDMI cable is made with a pliable yet durable protective sheathing, ensuring that it will be giving you a high-quality connection with quick transfer speeds for a long time to come. Measuring in at 15 feet in length, this cable affords you plenty of options in reaching across the room and/or can be tucked out of sight to avoid unsightly cable clutter. The mount itself is made from high-quality aluminum alloy for added strength and durability. 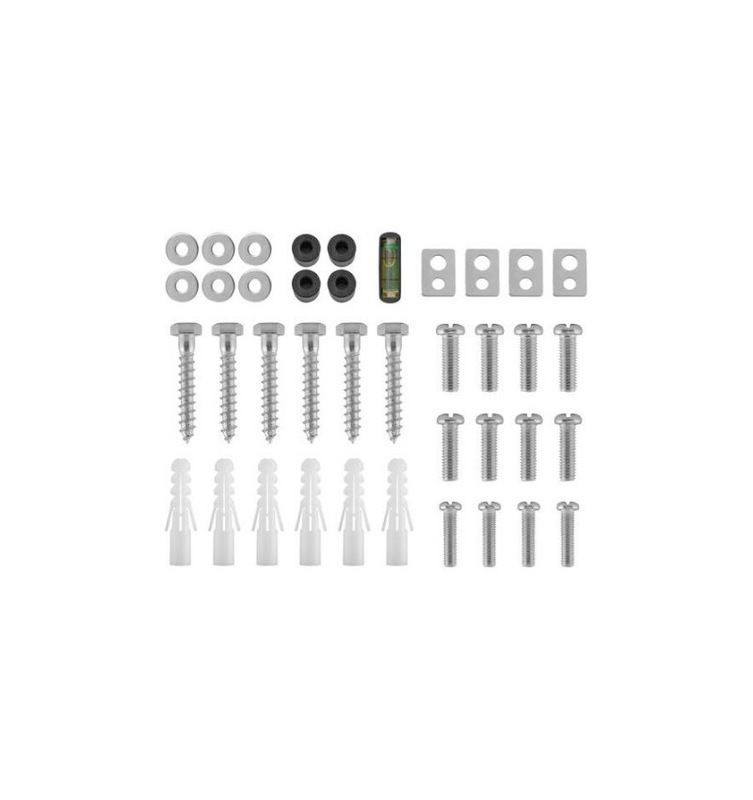 This full motion wall mount comes with the hardware kit and mounting guide for a quicker setup. The 12-degree movement is completely adjustable for optimal viewing with reduced glare, allowing you to enjoy your entertainment experience to the fullest. It is fully compliant with VESA 800mm x 400mm mounting standards. 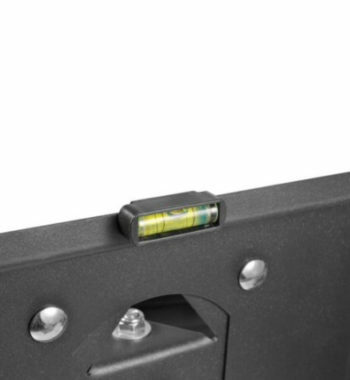 The Ematic Articulating Universal Wall Mount is designed for LCD monitors and displays up to 80″ and 132 lbs (60kg). 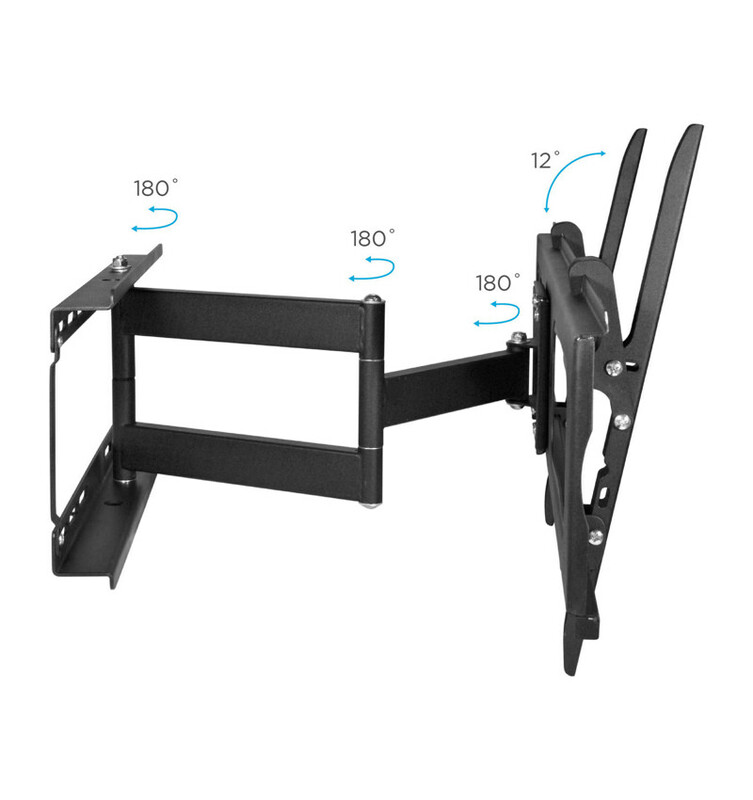 The Ematic Articulating, Universal Wall Mount safely mounts your TV to a wall in your home. The adjustable arm allows you to get the best view possible no matter where you are sitting or standing. 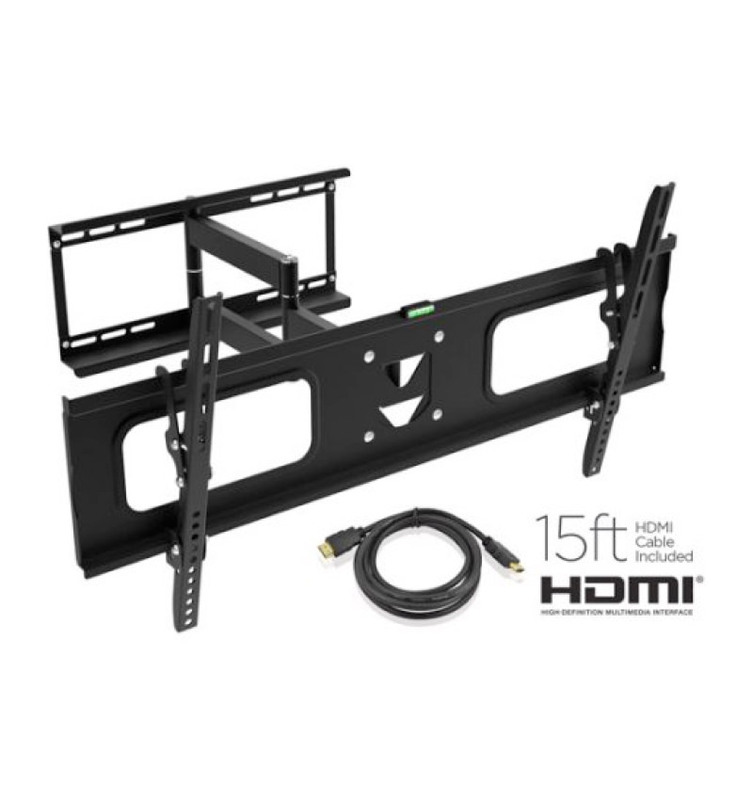 This tilt/swivel wall mount for 19″-80″ TVs with 15′ HDMI cable kit includes a built-in level for easy installation and also a 15′ HDMI cable for added convenience. The HDMI cable is made with a pliable yet durable protective sheathing, ensuring that it will be giving you a high-quality connection with quick transfer speeds for a long time to come. Measuring in at 15 feet in length, this cable affords you plenty of options in reaching across the room and/or can be tucked out of sight to avoid unsightly cable clutter. The mount itself is made from high-quality aluminum alloy for added strength and durability. 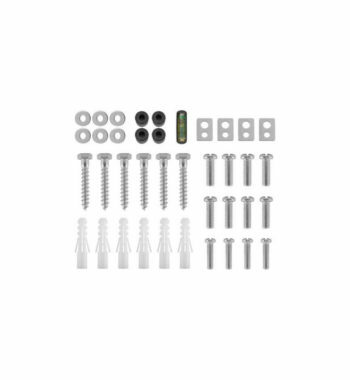 This full motion wall mount comes with the hardware kit and mounting guide for a quicker setup. The 12-degree movement is completely adjustable for optimal viewing with reduced glare, allowing you to enjoy your entertainment experience to the fullest. It is fully compliant with VESA 800mm x 400mm mounting standards. The Ematic Articulating Universal Wall Mount is designed for LCD monitors and displays up to 80″ and 132 lbs (60kg).